I probably should have mentioned this earlier, but we got into the swing of things last week and had a visit from Sinterklass (and probably Zwarte Piet came along too). 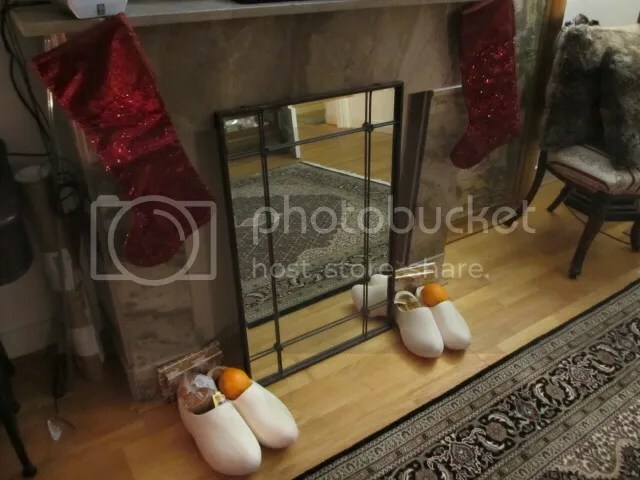 We put our newly acquired clogs out by the fireplace to see what would happen, and lo and behold we awoke to find them full of goodies! We have also cleared a space and put up our Giftmas tree. I was grateful that I only lost one of my glass ornaments in the move! Miraculously it seemed to attract a multitude of gifts to it almost instantly! Though, these have subsequently gone into the post, bound for far away lands! Now to restrain myself from putting on my Twisted Sister Christmas album so Himself doesn’t get sick of it too quickly! Yay for holiday pictures! 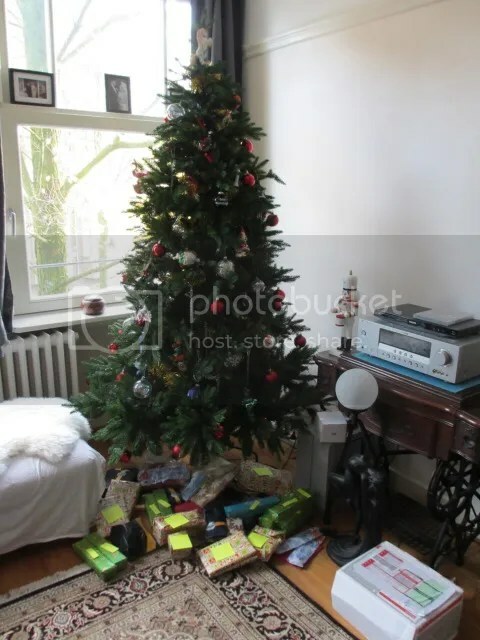 What a beautiful tree, with so many happy presents underneath!